More para records fell in Switzerland yesterday, as 14 personal bests, five national records and one world record tumbled from GB & NI athletes. 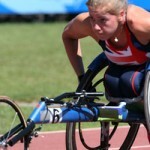 After breaking the T34 100m and 200m world record a matter of days ago, Hannah Cockroft (coach: Jenni Banks) continued her perfect start to the season by lowering the 200m world record to 30.85 – 0.05 quicker than her previous best set last week. 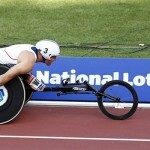 A new British record also fell for Richard Chiassaro (Banks) in the T54 200m as the 32 year old crossed the line in a time of 25.41 as well as lowering his 400m personal best to 49.86. Stephen Osbourne (Banks) also continued his strong start to the season with a British record in the T51 200m, while Ben Rowlings (Job King) set a new lifetime best and national record in the T34 200m (29.37). Rowlings, also clocked a new personal best in the 800m with a time of 1:51.83. 15 year old Isaac Towers (Pete Wyman) continued his impressive transition into the senior ranks claiming the British record in the 800m with a new lifetime best performance of 1:51.60. There was also a British record for Jonathan Adams in the F35 shot put after throwing 12.62m. 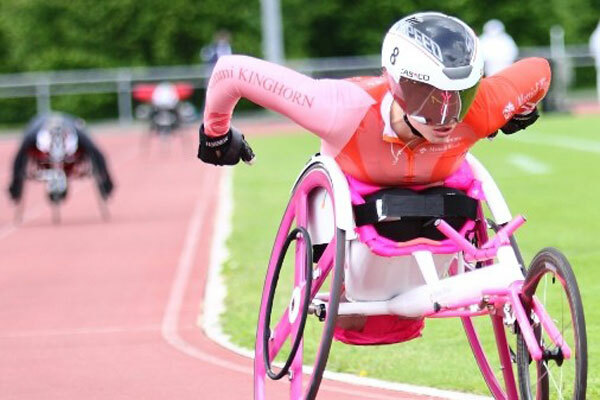 Sammi Kinghorn (Ian Mirfin), who recorded a personal best in the T53 100m last weekend, took another three-hundredths of a second off that time with a new best of 17.66. The 17 year old continues to show her early season form ahead of the Commonwealth Games with new personal bests in the 400m (57.85) and 800m (1:56.14). After setting a personal best in the T54 100m in Notwill, Georgina Oliver (Pete Wyman) followed that performance with another lifetime best in the 200m, clocking a time of 30.41. Another lifetime best followed for the 21 year old in the 400m (1:00.66). Meggan Dawson-Farrell (Mirfin) and Mel Nicholls (King) also showed what is to come from them this summer with new personal bests in the T54 400m (1:00.74) and the T34 100m (20.09) respectively.